Home Africa Who Owns Kenya? Its people or a political elite? Who Owns Kenya? Its people or a political elite? 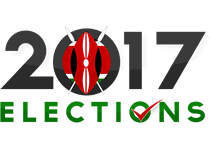 The political crisis in Kenya continues, even after the 2nd General Elections on 26 October 2017, ordered by the judiciary. President Uhuru Kenyatta was returned by a landslide only because his opponent, Raila Odinga, withdrew, arguing that the Independent Electoral and Boundaries Commission was incapable of ensuring a credible poll. The Kenyan writer and cartoonist, Patrick Gathara, in an article published by IRIN on 3 November 2017, asks uncomfortable questions and offers his own personal insights. Is the Kenyan crisis simply a dispute between two power-hungry politicians, or the ethnicisation of Kenyan politics, ominously exposing tribal fault lines? Or do these questions distract from the primary narrative – and the central conflict – “the struggle to bend the country’s post-colonial extractive state to the will of a new and progressive constitution”? “It is a war,” Gathara argues, “that has been silently waged for at least 55 years”. To read Patrick Gathara’s fascinating synthesises click here.